New Online Campaign Site Launched! 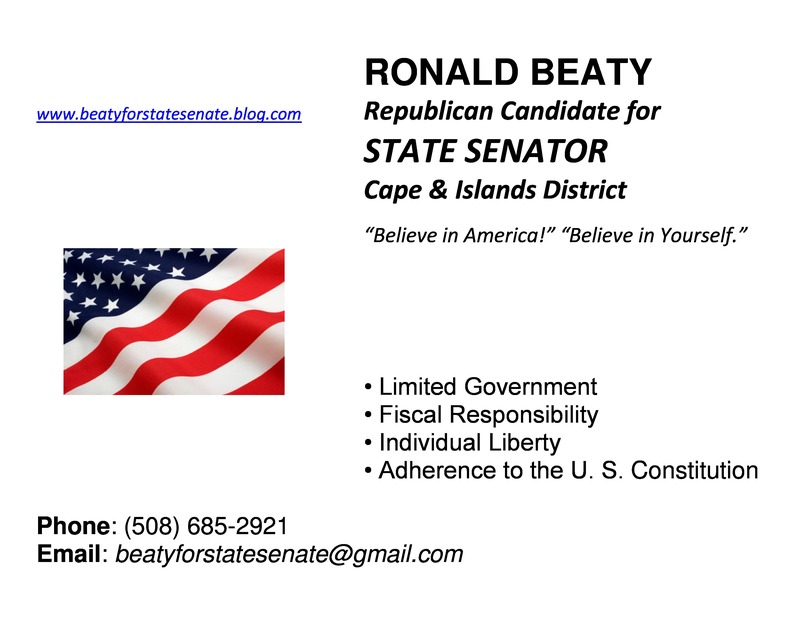 This entry was posted in Barnstable County, Cape Cod Regional Government, Uncategorized and tagged allen rodney waters, allen waters, barnstable county, cape and islands, cape and islands district, cape cod, cape cod commission, conservative, dan wolf, daniel wolf, election, limited government, primary, republican, republican candidate, republican party, ron beaty, ronald beaty, senator wolf, september 9, state, state senate, taxpayers, tea party, voters. Bookmark the permalink.